It’s time to bring your doorbell into the 21st century and what better way to do that than to install a classy, stylish looking yet affordable doorbell? There are a lot of considerations to be taken into account when choosing the best wireless doorbell for you, especially since the price is usually not an issue and you will be using one for at least a couple of years. The doorbell is the first impression that you guests get of your house, so just a little extra spent upfront can make a lot of difference down the road. The best doorbell is a wireless one in our opinion, obviously, as wired doorbells are uncomfortable to install and may change the design of your front, but you should take into account others factors as well, such as the operating range, easy of installation, design or the number of sound chimes. Without further ado, we have compiled a list of the best wireless doorbells on the market for you, highlighting both the pro and cons of each model, and below this quick comparison table you will be able to read more in-depth reviews for each wireless doorbell. 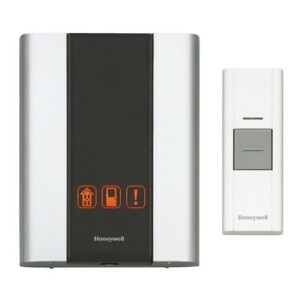 Our top pick for the best wireless doorbell comes from Honeywell, more specifically the RCWL300A1006 premium portable model. Comprised of a wireless door chime and a minimalist yet stylish push button, this wireless doorbell also has a very attractive price and tons of extra features that make it an excellent purchase. With a 250 feeet operating range, this Honeywell wireless doorbell features three chime tunes and three visual icons and can work with three push buttons. 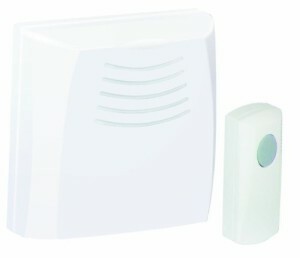 It’s compatible with other home security accessories, such as motions sensors or door contacts and it’s been designed with an adjustable system to eliminate interference and increase the volume. 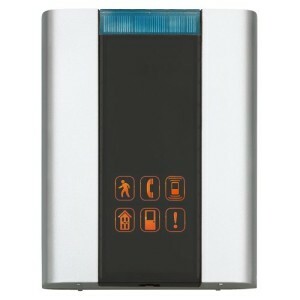 It requires 3 alkaline batteries to operate, and it’s overall in our opinion the best wireless doorbell. Another excellent purchase for the savvy buyer looking for a great wireless doorbell is the next in line model from Honeywell, the RCWL330A1000 one. Touted as an improvement over the previous one, this doorbell features a much larger operating range at 450 feet, and increased number of sound chimes and visual alerts (up to six). 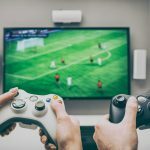 The number of additional devices that the doorbell can work with, such as motion sensors, push buttons or door contacts has increased as well and it’s now at six concomitant accessories. With this though, comes a slight increase in price as well. While we believe that the number one wireless doorbell is more than enough for a domestic home and is more than able to meet all the needs of the average house size, if you are looking for something bigger, this excellent wireless doorbell is the next in line. For someone looking for a simple and affordable wireless doorbell that just gets the job done without too many additional whistles and bells, we highly recommend this model. 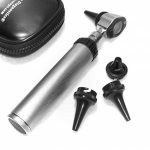 Although the operating range is relatively small at just 100 feet and requires a plug-in power supply, the affordable price (just under $20 if purchased through our above discount link from Amazon) makes it a worthwhile purchase. 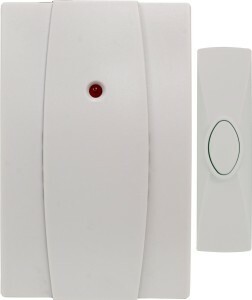 But don’t let the cheap price fool you, this wireless doorbell has enough features to rival some more expensive models, such as audio indicator and flashing lights, 3 chime tunes and even interference protection from other users through its 16 codes. 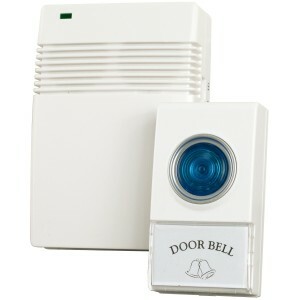 This GE 19209 wireless doorbell is a great purchase for those looking to replace their traditional door bell in minutes. The operating range is decent at 150 foot range, and the two push buttons that come with it are stylishly designed. This wireless doorbell features the largest selection of unique chime sounds so far, up to 7, so if you are looking to inject a little bit of personality into your door bell this is the model for you (the Westminster sound is our favorite). Same quality as the best Honeywell wireless doorbells and the same features, but with a slightly different design, the RCWL250A1006 decor doorbell is the highest rated doorbell on Amazon by customers, with an average rating of 4.7 out of 5. We have not seen anything more impressive in this door bell that the best door bells do not offer in terms of functionality – great 450 ft operating range, up to six push buttons, motions sensors, or chime tunes, etc.. – but the design makes all the difference. With classy shaped curve and a minimal white approach, this door chime will easily fit into any home decor. The RCWL3502A1002 wireless doorbell brings forward an unique design, a combination of glass and metal look that fits well into a contemporary designed home. The same features outlined above and present in the other Honeywell doorbells apply here as well in addition to the stylish look. The quality of the sound is amazing and there are lights indicators for low battery for both chime and push buttons. In addition, the chime can be hanged either horizontally or vertically. 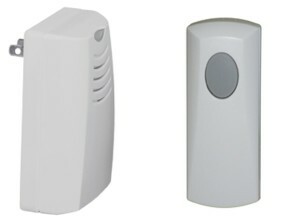 This model is a very versatile wireless doorbell as it can act both as a wall mount or as a portable wireless doorbell and. It does not have the highest operating range – just 120 ft – but for domestic use it should be enough. 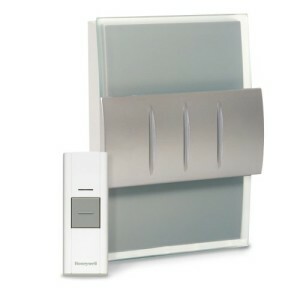 The product comes with a door chime and one push button with 3 changeable sounds as well as mounting brackets for wall use. It’s battery operated. While most of the products in our t op 10 best wireless doorbells list were Honeywell models, there are other brands that offer quality doorbells at a decent price, and the Voye wireless remote control doorbell is such an example. Although it has been met with mixed receptions by customers, it has some unique features – such as its extensive 10 chime sounds collection – and it’s adjustable – low, medium and high – volume settings that make it a good purchase. The operating range is 250 ft and the chime is battery operated, but the battery are not included. 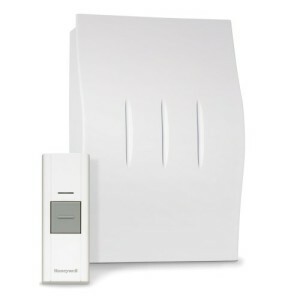 The GE 19216 wireless doorbell is an easy to install door bell with an up to 150 feet operating range. Similar to the previous GE door bell we reviewed, it features seven sound tunes of excellent quality and has 16 changeable codes to prevent other devices interfering. It only has one push button though, although you can purchase additional ones separately. 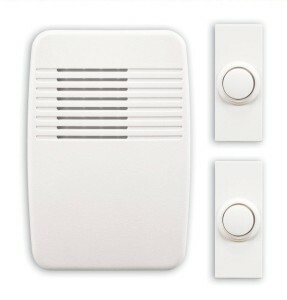 The door chime is battery operated and the batteries are included in the product. There isn’t anything inherently wrong with this Health Zenit wireless doorbell, but it only made it last on our top 10 best wireless doorbells list because there is nothing particularly impressive about it either. The design is relatively lackluster, although the white molded cover suits well some home decorations. The transmission range is 100 ft and it has 2 sound tunes to differentiate between front and rear entrance. All in all, still a recommended purchase, especially as it does not come at a very high price.